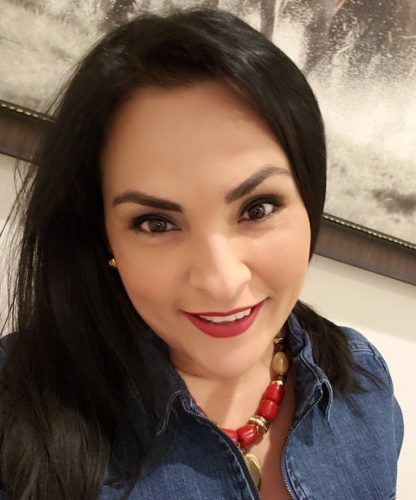 Mairy Reyes was born in Zulia State, Venezuela, where she worked from a very young age as the state’s coordinator of social development and attended law school at the Rafael Belloso Chacin University. In 2005, after being politically persecuted by the Venezuelan government, Mairy and her family moved to the United States, becoming political asylees. Since, she has been focused on helping immigrants achieve their American Dream. In 2012, she joined Mi Familia Vota, starting as a field canvasser and quickly rising to become a group lead for the organization’s voter registration campaign in Central Florida. In 2014, she became a Lead Canvasser, performing different activities that ranged from planning and organizing community events to recruiting volunteers and canvassers. Such demonstration of hard work and commitment led to her appointment as a Civic Engagement Organizer by 2015, running the organization’s voter registration campaign in Orlando, Florida. In this role, Mairy worked to empower the Central Florida youth by engaging students from high school, community colleges, and public universities, helping to launch a massive voter registration drive at different public schools. During her time at Mi Familia Vota, Mairy has recruited and trained hundreds of volunteers of different ages and backgrounds while working to promote the organization’s citizenship clinics. In her new role as Tampa Coordinator, she looks forward to mobilizing the Latino community, focusing on continuing to empower the next generation of leaders while developing strong connections with key community stakeholders and organizations.